I need help please with this because it is starting to tick me off. Hit Point Potion 1 will not max stack to 99. I change both the max stack and the max chest stack to 99 for the Hit Point Potion 1 and the damn game will not load at all. Is there some kind of anti cheat that TOXIC's anti cheat dll didn't fix like a file size check? If there is can someone disable it? the FR community which will probability take me days and share them here. Here is the item asset un modded. I hope the the pics help explain things too. EDIT: Sorry, my moonlighter version is 1.7.9.5. I WILL ALWAYS USE MEGA INSTEAD OF THOSE SCAM SHARE SITES WITH THEIR FAKE WAIT TIMERS. UPDATE!!! : EVERYTHING YOU NEED IS HERE TO SEE WHAT I'M TALKING ABOUT. 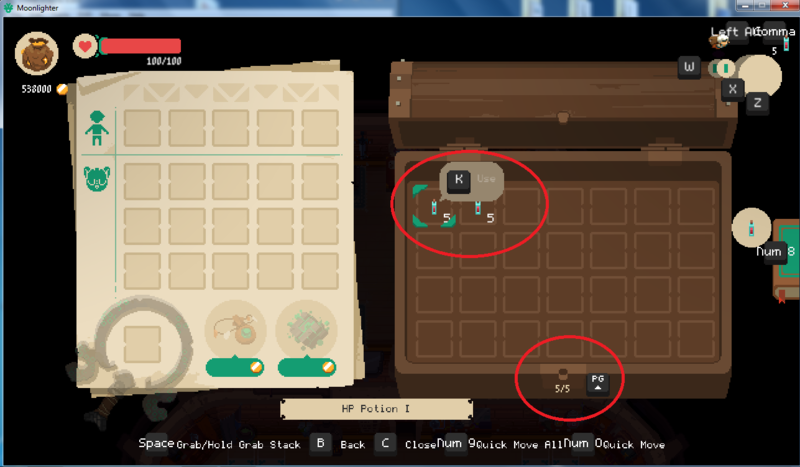 Re: Moonlighter asset editing- UPDATED!!! Hay STN, if you are not too busy maybe you could take a look at this problem. I haven't gotten any responses from anybody to help. Well This worked, but still if I change one more thing in the constants asset it won't load. Anybody? still waiting for help. UPDATE!! I change Some other things and it loaded and there was some things I changed and it didn't.